Whenever I have my display﻿ Almost Forgotten: Black History in Oxford County﻿, teachers usually ask where to go get more information for their classroom. As a result, I have this page to help. The main source is a website from Natasha Henry who is an educator, historian and author who specializes in developing learning materials on African Canadian history. I hope to have other resources for teachers on other subjects and topics as well. "Fundi Education offers student-focused presentations and teacher training sessions to incorporate Black history into the classroom. A variety of education programs designed to enrich the learning experiences of students through informative and interactive workshops. Students will uncover Black history through an array of engaging activities. All workshops compliment the Ontario Social Studies, Geography, and History curriculum (2013). For more information or to book programs contact Natasha Henry. Interested in bringing these workshops to your class, school or school board? Contact Natasha Henry." The colourful stamp depicts Jackson in uniform, circa 1890, as he delivers mail along his route. Born into slavery in the United States around 1857, Jackson was still a toddler when his mother and six of his siblings fled north to Canada. In Toronto, he pursued his education and earned an appointment to the civil service, as a letter carrier, in May, 1882. When he reported for work, he faced discrimination from his colleagues, who refused to train him and he was forced to take a lower position as a hall porter. Toronto’s black community rallied on Jackson’s behalf. The issue soon came to the attention of Prime Minister Sir John A. Macdonald, whose intervention gave Jackson the job he deserved. On June 2, 1882, Jackson began training as a letter carrier. He worked at the post office for 36 years until his death in 1918." Read the CBC News article ''It's a beautiful stamp': Canada Post honours 1st black mail carrier" and how Alberta Jackson's great-great-grandson, Jamaal Jackson Rogers feels about his family member is being honoured with his very own stamp. Canadian History in the making as the new $10 Canadian bank note came into circulation. 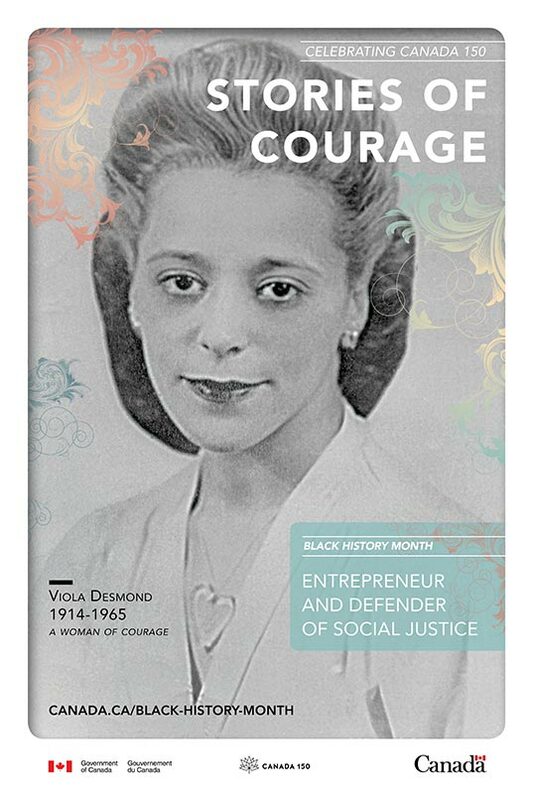 On November 19, 2018 Viola Desmond’s image on the new bill became the first Black person, the first woman and the first individual who is not a government official or the Queen to grace a Canadian bank note. This Activist that was once kicked out of a Nova Scotia movie theatre for seating in the White’s only section has been immortalized. As explained the next section “International Women's Day March 8, 2019 -Viola Desmond $10 Canadian Bank Note unveiled.” This new bill continues with being first, as it is the first vertically oriented bank note issued by the Bank of Canada. Read the CBC News article “Black rights activist Viola Desmond to be 1st Canadian woman on $10 bill” by Kathleen Harris on what Viola Desmond’s sister, Wanda Robson, feels about the bill of her big sister. "The $10 bank note featuring Viola Desmond will be rolled out gradually, starting on November 19, 2018, and will circulate alongside the other $10 bank notes already in circulation. This $10 is the first vertically oriented note issued by the Bank of Canada. The Bank chose this design because it differentiates this note from the current polymer notes, and allows for a more prominent image of Viola Desmond, which is fitting for the first portrait subject nominated by Canadians. The change in orientation is a continuation of the Bank of Canada's innovative approach to bank note design. The $10 featuring Viola Desmond is the first regularly-circulating $10 note to feature a woman. As a regularly-circulating note, it will be produced by the Bank of Canada for years to come. It is the first bank note featuring a woman who is not a parliamentarian nor a member of the Royal Family. It also returns to the convention of a single portrait subject. "As you know, February marks Black History Month in Canada, an opportunity to honour the legacy of Black Canadians, past and present. The Government of Canada’s 2018 Black History Month campaign theme is “Black Canadian Women: Stories of Strength, Courage and Vision”. With the general theme of Black Canadian’s long standing history and their contributions to the development of the country throughout the decades, this year’s campaign emphasizes on the essential role that women of African descent have played and continue to play in Canada. Noteworthy Black Canadian women are featured on the Government of Canada’s Black History Month Webpage and will be highlighted through social media throughout February. To help you promote Black History Month, the Department of Canadian Heritage is making an educational poster available for download. This poster is a nice way to engage students and clients in Black History Month, to prompt discussions and to raise greater public awareness of Canada’s rich diversity. host devoted to the empowerment of Black women. her country,” says her daughter, Rene Livingstone. "Both stamps, designed by Winnipeg-based Tétro, evoke the personal strength of these great Canadians through historic photographs. “The images selected capture a moment that is both internally reflective and formidable,” says designer Paul Tétrault. “The gold metallic glow pays tribute to their visionary influence and trailblazing achievements.” (From Details Magazine) Also, see my Blog post here. "​Celebrate an iconic Canadian and honour Black History Month with this Official First Day Cover featuring radio host and social activist Kathleen (Kay) Livingstone. The stamp on this elegant collectible features a black and white portrait of Livingstone. A gold metallic glow pays tribute to the prominent humanitarian’s visionary influence. The stamp is being issued on the centenary of Livingstone’s birth. "Pay tribute to an iconic Canadian and honour Black History Month with this Official First Day Cover featuring distinguished public servant Lincoln M. Alexander. The stamp on this elegant collectible features a black and white portrait of Alexander in profile. A gold metallic glow pays tribute to Alexander’s visionary influence. "17th century interpreter [Mathieu Da Costa] believed to be the first person of African descent to arrive in Canada whose name is known today. 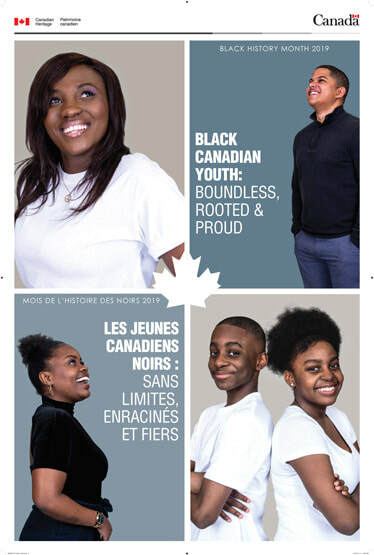 ​"Honour Black History Month and pay tribute to Canada’s rich tradition of diversity with this Official First Day Cover. This colourful collectible celebrates Mathieu Da Costa, an explorer and interpreter from West Africa who is believed by some to be the first named person of African descent to reach Canada. The First Day Cover bears a domestic stamp, designed by Andrew Perro and illustrated by Ron Dollekamp, featuring an image of Da Costa dressed in period clothing. In the harbour behind him, several canoes carrying Aboriginal people paddle toward a sailing ship. The cancel location is Tadoussac, Quebec. The village at the confluence of the Saguenay and Saint Lawrence Rivers was the site of the first trading post in New France. 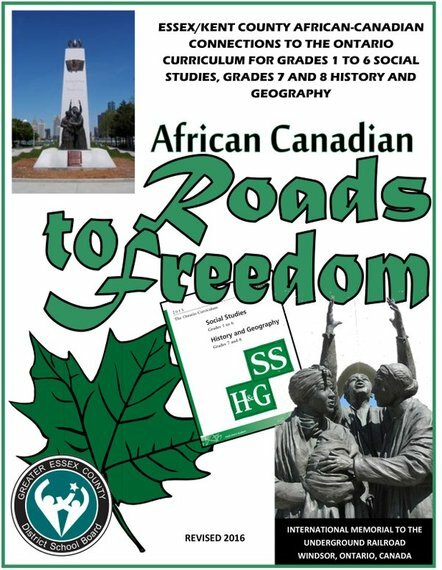 Black History in Canada Education Guide is available to download PDF file.